Ardmore comes from the Gaelic "Aird Mòr" meaning "big height". Ardmore's website used to be one of the most comprehensive for a distillery that's not open to the public. 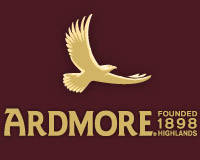 As well as details of the Ardmore whiskies, a history of the distillery, and an on-line shop for buying whisky and some Ardmore merchandise, the site features the work that Ardmore does with the RSPB and the World Land Trust aimed at re-introducing the White-Tailed Eagle to the Highlands. The distillery's emblem is the Golden Eagle which is still in the Highl﻿ands, though in small numbers, and if you've bought a bottle of Ardmore you can join the Eyrie, whose members will get to hear first about special Ardmore bottlings. For every 100 members Ardmore buys an acre of land on behalf of the World Land Trust. None of this is available any longer. The current website simply mentions the location of the distillery and describes the current range. Built by William Teacher's son Adam, it was the company's first distillery, and remains the home of the eponymous blend. 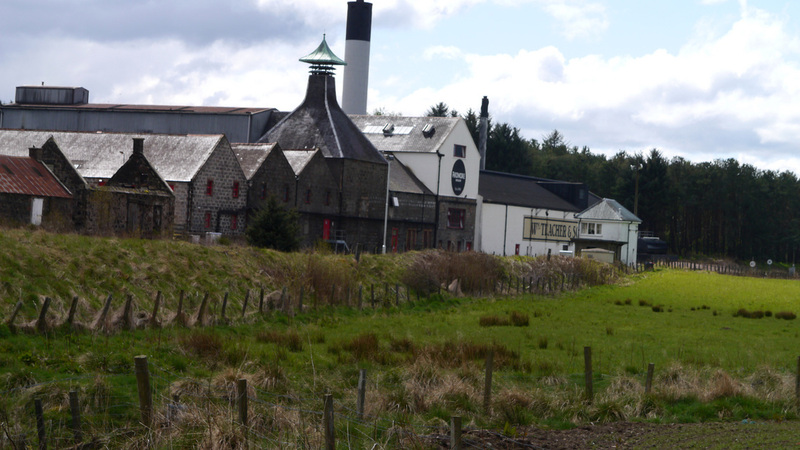 Ardmore is the only distillery in The Highlands or Speyside to produce a peated version by default. They also produce an unpeated version called Ardlair (for about 30% of the time), which is only used for blends. Expanded to 4 stills in 1955, and again to 8 stills in 1974. Allied Domecq sold the distillery (along with Laphroaig) to Beam Global in 2006, who were in turn bought by Suntory in 2014. 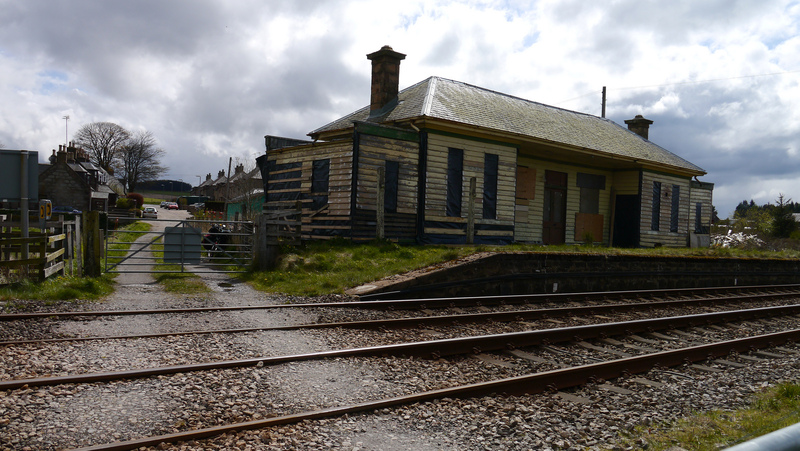 The nearest stations are: Huntly (HNT) (9 miles), Insch (INS) (6) Live Train Times: HNT INS. 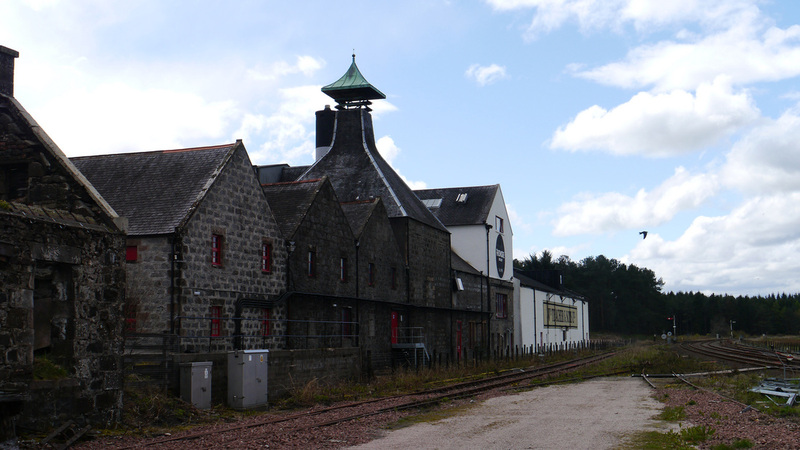 The remains of Kennethmont station are right next to the distillery but it has been closed for many years, and has recently been done up as a private residence. 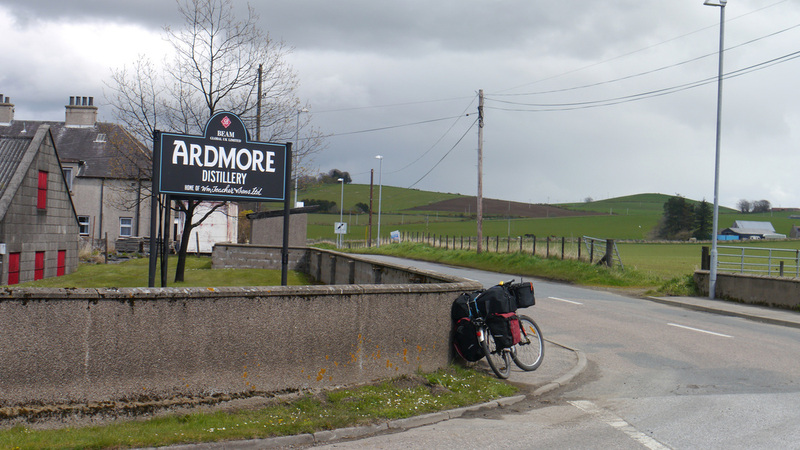 Ardmore Distillery is on the B9002 near Kennethmont. For many years Ardmore had relied on Gordon & MacPhail to release semi-Official bottlings, but in 2007 they began producing their own bottling - Traditional, bottled at 46%, no age statement, and as with their sister distillery Laphroaig, finished in quarter casks to speed maturation. No called Tradition, it has been joined by Legacy (40%) NAS; 12yo Port Wood Finish (46%); and Triple Wood (46%) NAS. A 20yo (49.3%) from 1996 was also released and is still available from some outlets. Independent bottlings of Ardmore are relatively common - including those from G&M. Most of the spirit ends up in Teachers blends. Photos on this page were taken by me. Click on photo to enlarge. Full size versions of all my photos of Ardmore Distillery are available on Flickr.